Working with SA Power Networks, Dunstans has completed multiple stages of works for the NBN roll-out in Port Augusta, SA. These works involved both HDD and trenching as well as pit installation and potholing of existing services. Multiple crews conducted works in succession in Port Augusta to ensure all works were managed efficiently and safely. Working in built-up areas of Port Augusta, our team were constantly locating and working in the vicinity of gas pipelines, water mains, electricity and telecommunications. 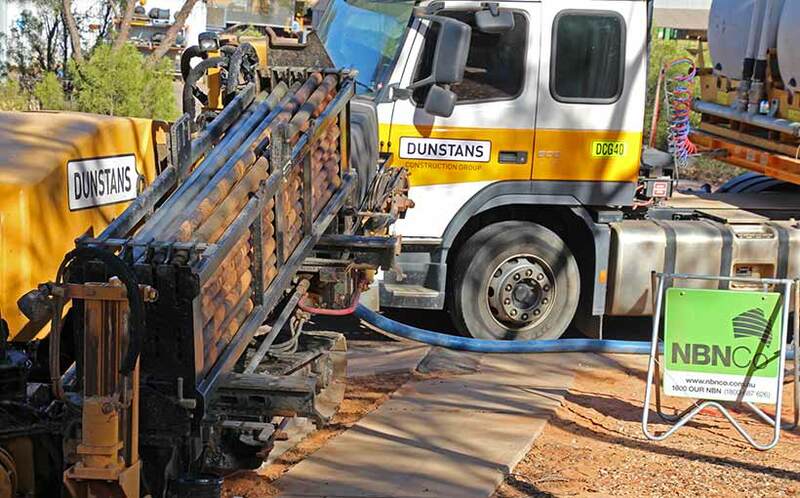 Dunstans completed over 15km of Horizontal Directional Drilling as part of the works. All HDD crossings were successfully completed on time and with no time lost due to injuries.